The way we speak of this great compassion in the Great Vehicle of Buddhism is to arouse the aspiration to optimize this human life we have – body, brain and heart – in order to bring about the welfare of not just our immediate loved ones, community members, compatriots or even just humanity, but all sentient beings. On that basis, it is not enough to simply nurture an internal determination; we have to dream out loud and act on that resolve. This is the twofold way walked by all the Awakened Ones of the past, present and future. Therefore, the aim of the Marici Fellowship is to compliment the well-established spiritual activities of Sakya Monastery and its affiliates with a range of socially engaged programs. What makes the Marici Fellowship unique from regular charitable endeavors is that we are not simply sacrificing some free time and funds to provide material welfare out of mere sympathy and solidarity; we are putting the Dharma into practice for our own and others’ temporal and spiritual well-being. In other words, our work is not a separate pursuit from the Dharma but an integral part of it. Our heartfelt hope is that all the aspirations in this booklet and the work of the Marici Fellowship be fulfilled without obstacles. The Marici Fellowship is helping to shine light on the daily struggles and problems faced in our society today, with the goal of bringing us together, building awareness, dissolving barriers, and finding solutions. To that end, the fellowship sponsors events held at the Sakya Monastery, such as guest speakers and education, along with community outreach events like helping youth, the homeless and much more. All are welcome to join these free events. Tea and snacks will be provided. 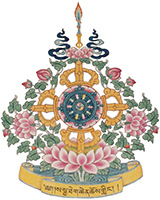 You can find out more about our upcoming events and programs at sakya.org/marici-fellowship/events. If you are interested in bing a guest speaker, requesting a speaking event or sponsoring a speaker, please see our guest speakers page. Marici means “rays of light” in Sanskrit. Our mission: Shining the light of compassion through kindness. To understand that our work is not a separate pursuit from the dharma but an integral part OF the dharma. To bring together as many avenues as possible for the relief of suffering. Providing education, peer support, ongoing service to those in need and much much more. To dissolve the barriers of separateness between ourselves, others, and most importantly those we are trying to help most. To be a community whose members recognize the interconnectedness of ourselves and other, our environment and discovering the true gift of helping those in need the benefit to them but also the great gift it is for ourselves. If you are interested in helping our Fellowship practice in the community, please contact the facilitators by emailing marici@sakya.org. You can also find a board to sign up for events in the lower hall of the Monastery next to the coat closet. The inaugural event for the Marici Fellowship is on July 21st in Seattle. 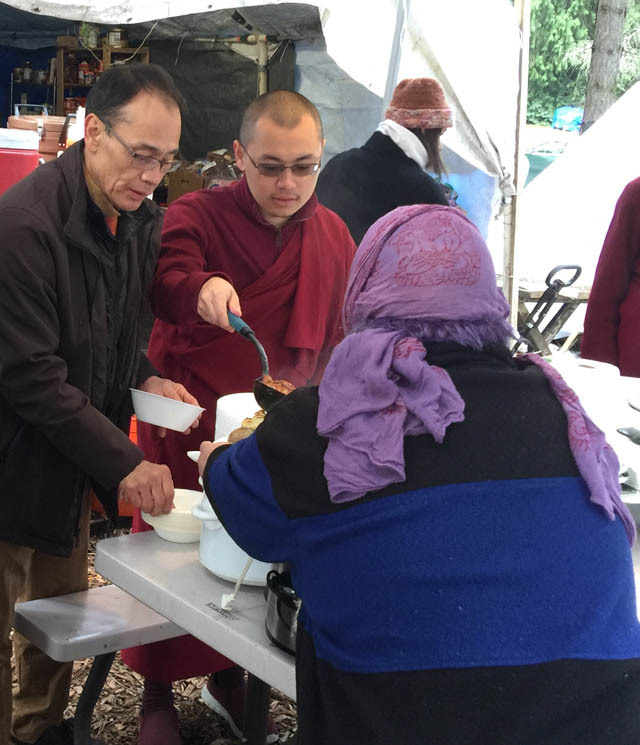 We will be joined by His Eminence Avikrita Rinpoche on a day filled with outreach in the community. To learn more and sign up, please view the event page. We are working on adding many new programs and events to our calendar, including support forums for end-of-life pet care and family support. Please check back here often for announcements of new programs, events and offerings. If you are interested in supporting the activities of the Marici Fellowship but cannot attend one of our events, you are welcome to make a donation. Click here to learn more.